Kalender Ferienwohnungen, was ist frei? Hier klicken zur Anzeige der Ferienwohnungskalender? Was ist frei? 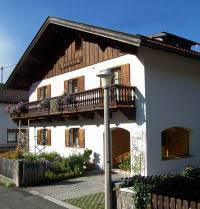 Well-kept, three-star-guest-house, very little motor traffic, house calmly lain, directly at the Isar. Homelike arranged, bavarian style lodging. Panoramic mountain view, ideal conditions for a recreative and/or activ holiday. Laundry, end-cleaning incl.. Bun- and beverages-service. association. All vacation dwellings are equipped, fully kitchens fitted out, (e.g. The arrival day is not restricted to specific weekdays - changing is possible every day. Copyright © 2000 - 2019 haus-roseneck.de. Alle Rechte vorbehalten.